Ozone-friendly, recyclable, zero-waste, elimination of toxic chemicals - such environmental ideals are believed to offer solutions to the environmental crisis. Where do these ideals come from? Is the environmental debate communicating the right problems? 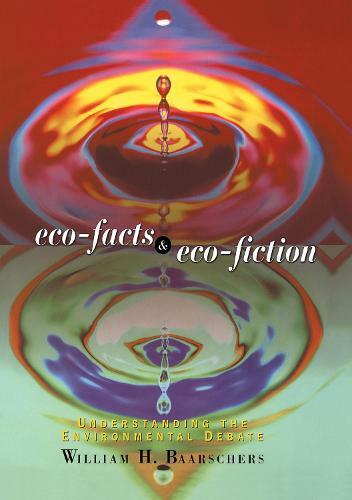 Eco-Facts and Eco-Fiction examines serious errors in perceptions about human and environmental health. Drawing on a wealth of everyday examples of local and global concerns, the author explains basic concepts and observations relating to the environment. Removing fear of science and technology and eliminating wrong perceptions lead to a more informed understanding of the environment as a science, a philosophy, and a lifestyle. By revealing the flaws in today's environmental vocabulary, this book stresses the urgent need for a common language in the environmental debate. Such a common language encourages the effective communication between environmental science and environmental decision-making that is essential for finding solutions to environmental problems. "Baarschers' book provides a strong line of reasoning to reevaluate the "eco-language" and both scientific and public perceptions of many current environmental controversies...[the book] helps to eliminate the mutual mistrust between scientists and the public and assists in developing a common environmental language for a sustainable future.."